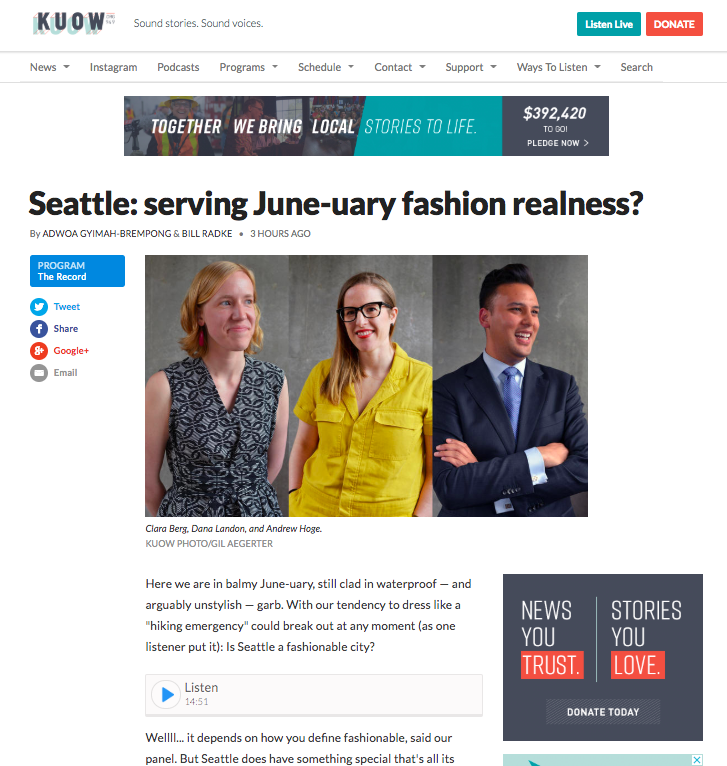 KUOW invited me back to the studio to discuss Seattle style alongside Clara Berg and Andrew Hoge on The Record with Bill Radke. What an honor! I'm such a public radio fan. It's beyond exciting to get to be a part of it. Check out the segment here. I need to go back and listen to the segment I took part in years ago on Weekday since the topic was the same. It'd be fun to hear how my outlook has changed over the years.